KLG and Hoda are giving you the chance to win a trip to Universal Orlando Resort’s Halloween Horror Nights 2018 with Today’s Kathie Lee & Hoda Halloween Costume Contest. Go to Today.com and show your family Halloween costumes for a chance to win. To enter the KLG and Hoda Halloween Costume Contest, visit Today.com and follow the provided instructions to complete and thereafter submit the entry form. You must also submit a photo and an essay about you or your family’s favorite Halloween costume. You may enter only once during the Contest Period. Open only to permanent, legal U.S. residents who are physically residing in one of the 48 continental United States or the District of Columbia (excluding Alaska, Hawaii, Puerto Rico, Guam, the Virgin Islands and other United States territories), and who are 18 years of age or older as of the start of the Contest Period. The Contest begin on October 18, 2017 at 10:00 A.M. ET and end on October 24, 2017 at 12:00 A.M. ET. All eligible Entries received during the Contest Period will be judged based on the following judging criteria: Originality (50%) and Creativity (50%). 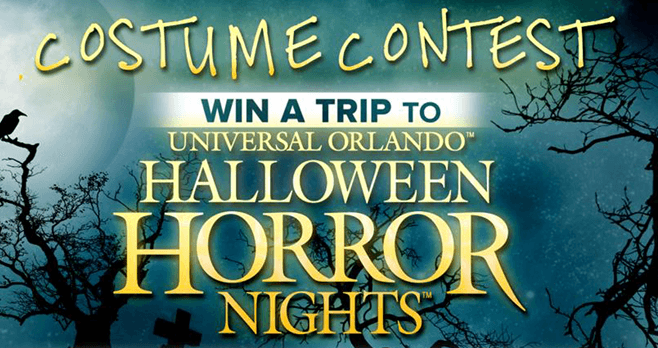 For the name of the Winner, available after November 1, 2017, send a self-addressed, stamped envelope to be received by January 1, 2018 to: TODAY Show, Win a Trip to Universal Orlando Halloween Horror Nights 2018 Costume Contest, 30 Rockefeller Plaza, New York, NY 10112. My husband and I usually host a Halloween party for the past 8 years but sadly this year cannot do to the sale of our home. Please allow us to enter the contest we are avid Halloweeners because it’s our favorite holiday. We never miss a show and love your positive messages!